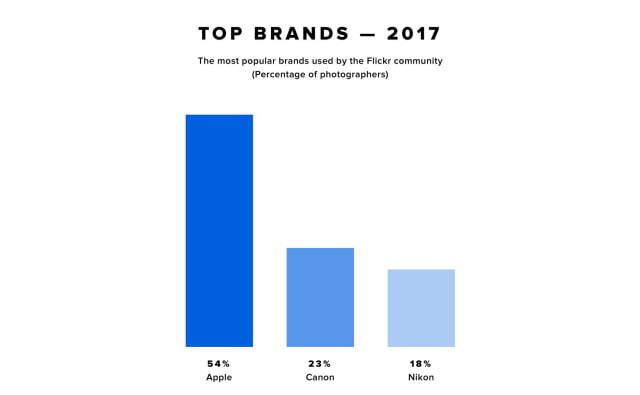 Flickr has announced that the iPhone was the most popular camera on its platform in 2017, beating both Nikon and Canon. 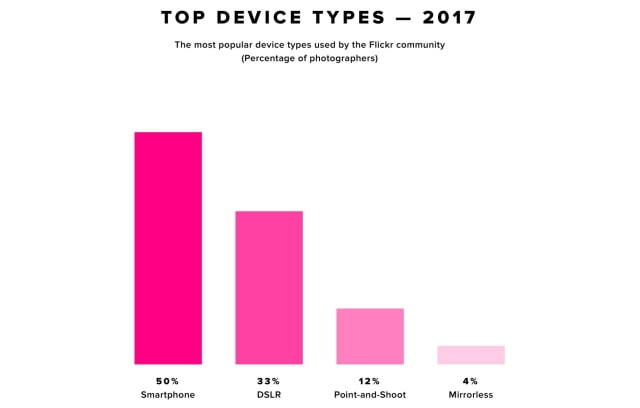 The iPhone was used by 54% of photographers who uploaded to Flickr, significantly higher than Canon at 23% and Nikon at 18%. It also increased its share from last year when it was at 47%. When it comes to brands, Apple iPhones remained the dominant camera models, with 54% of the top 100 devices being named iPhone and an almost clean sweep of the top 10 Devices of 2017, accounting for 9 our of the top 10 devices. The Canon 5D Mark III placed 9th in the Top 10 Devices on Flickr of 2017. The iPhone6, iPhone6s, and iPhone5s were the most popular iPhone cameras respectively. Canon was the second largest brand used by photographers on Flickr, responsible for 23% of the top 100 devices. Nikon was the third most popular brand of 2017, with 18%. Flickr also shared its Top 25 Photos of 2017 and top photos by Genre and Country. Hit the links to check them out!